Damodaram Sanjivayya National Law University, with an objective to encourage and promote the skill of research and writing amongst the student fraternity across the country on an emerging field of “sports law”, is organizing VENATUS’17 – Second DSNLU National Sports Law Article Writing Competition. Any field of law develops only through vivid research; similarly, the emerging novel issues in the field of Sports Law demands in-depth research and analysis. 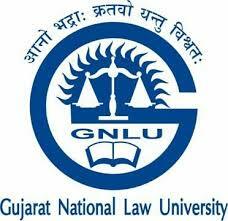 DSNLU, hereby, invites research article from interested law students from across the country. Sports governance: a global problem? Essays : 1000 – 1500 words. Short Articles : 1500 – 2500 words. Long Articles : 2500 – 3500 words. Word limit is exclusive of footnotes. Top 15 submissions will be considered for publication in Second Edition of DSNLU Sports Law Journal. All contributions submitted to the competition should be original and should not be simultaneously considered for publication/ submission elsewhere. Every submission shall be attached with a brief abstract, highlighting the theme and tone of the submission. The Editorial Board reserves the right to reject without review manuscripts that exceed the word limit substantially. The Editorial team reserves the right to accept any piece of work beyond the prescribed themes. All submissions must be in Times New Roman, font size 12, Spacing 1.5. The author(s) bear sole responsibility for the accuracy of facts, opinions or view stated in the submitted manuscript. In case of any gross plagiarism found in the content of submitted manuscripts, such manuscripts shall be rejected. All submissions are to be made via e-mail in “.doc” or “.docx” format. Authors must follow the Harvard Blue Book – A Uniform System of Citation (19th edn.) style of referencing. The Editorial Team shall retain all copyright arising out of any publications and only the moral rights will vest with the author. All submissions shall be duly submitted not beyond 23:59 Hrs of 20/01/2018.